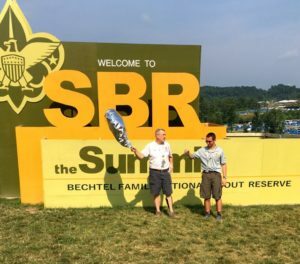 The K2BSA staff launched an ARHAB balloon from the Summit on July 21 with call sign K2BSA-11 and a second balloon on July 25 with call sign K2BSA-12. 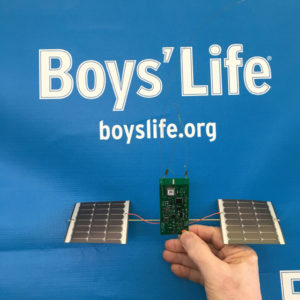 The Skytracker payload that flies on the small Jamboree balloons weighs less than a half ounce and is totally solar-powered. It will transmit its position and altitude every two minutes during daylight hours and could float in the Jet Stream for days and weeks. It could potentially fly across the Atlantic Ocean or even around the World. Amateur Radio High Altitude Ballooning (ARHAB) is an Amateur Radio activity for near space explorers and enthusiasts dedicated to the education and study of aerospace science. For more information about this activity visit: http://www.arhab.org.